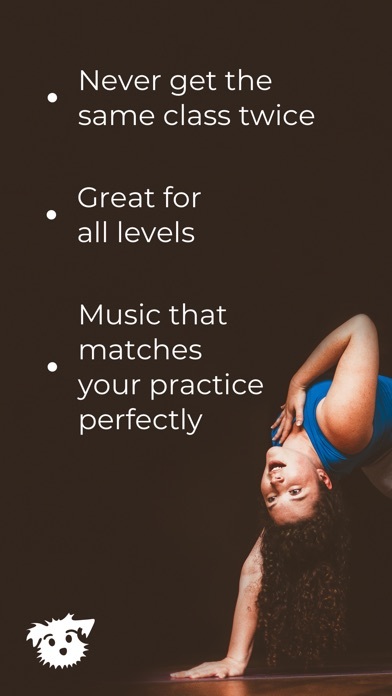 I love the Down Dog app because it offers the choice to choose the length of your practice as well as the music, the teacher’s voice, the level, and many other options as well. I use it to do a quick 5-15 minute flow in the morning or as a warm up for other physical activity. When I make the time I can choose a much longer practice as well. Thanks to their database of poses and transitions you get a unique flow every time. The app does cost a monthly subscription after a few free uses, but it’s very inexpensive for the value it offers. New features I would love to see are customizing favorite and aspirational poses as well as limited mobility configurations for people with injuries or other limitations. Thanks Down Dog folks! I love how the routine changes every time I use the app. I never get bored and can change the length of time I want my session to last! Highly recommend! I love this app! Found I use this more days a week than I thought. I really love how the practice changes every session and the boost feature is the best! In love the way it all comes together, with the demos and the music and of course the voices. It feels like I’m in a studio class! Carina’s voice puts me in a meditative trance, it’s made for yoga! Thanks for the great app! 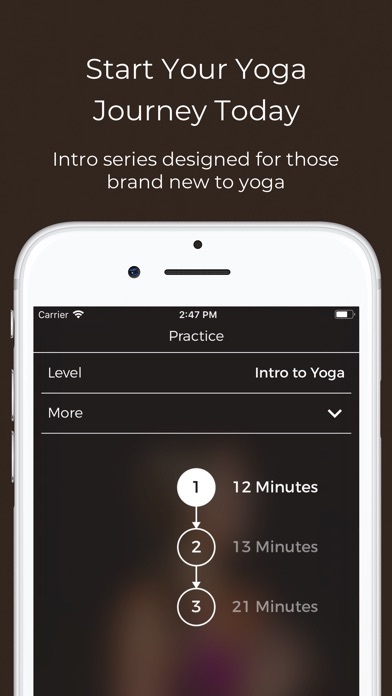 I really like the variety of practice types, lengths, paces, and levels for this app. Not to mention the variety of music used. I also like the recent addition of different image types. The one with no images works for those of us who may not want or need visuals. The user interface is clear and the developers helpful. I have used this app for over a year and will continue to do so. Down dog allows for so many customizations that I never get tired of a flow. The personalized practices allow me to focus on certain areas of my body and flow. 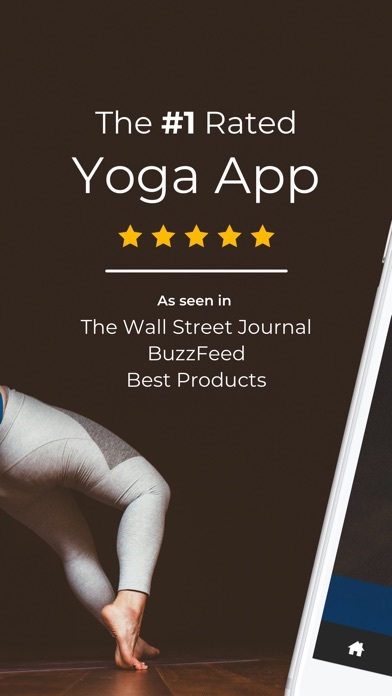 From the peaceful music to the feeling of completely letting go, this app is the best yoga app I have ever tried. By PUT THE CATCHE BACK !!!! Thankful that there is something so well done like this! Great instruction and very helpful! I haven’t done yoga since I was a teen. I’m 48 now. Loving this app, because it makes easing back into it simple. More by Yoga Buddhi Co.